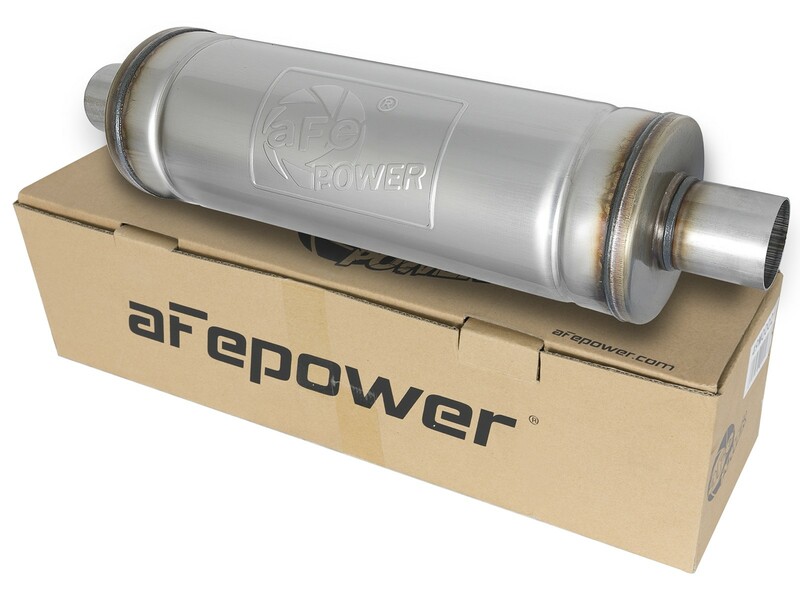 Wake up your stock exhaust with aFe POWER's stainless steel, universal fit MACH Force-Xp muffler designed to provide a deep, throaty, powerful sound on acceleration yet maintains a smooth sound at idle. 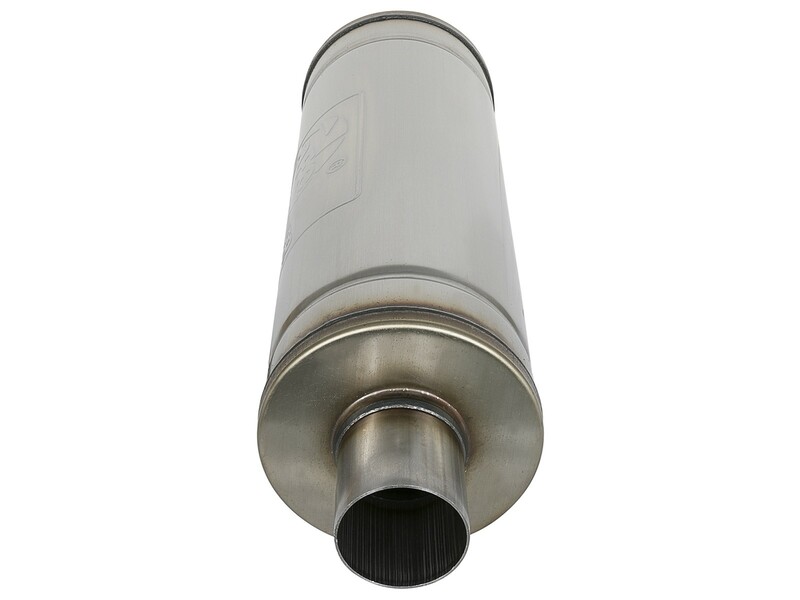 Constructed of 409 stainless steel, the MACH Force-Xp muffler uses a straight through perforated core with heat resistant packing to reduce backpressure and maximize exhaust flow for performance and sound improvements over the factory exhaust. 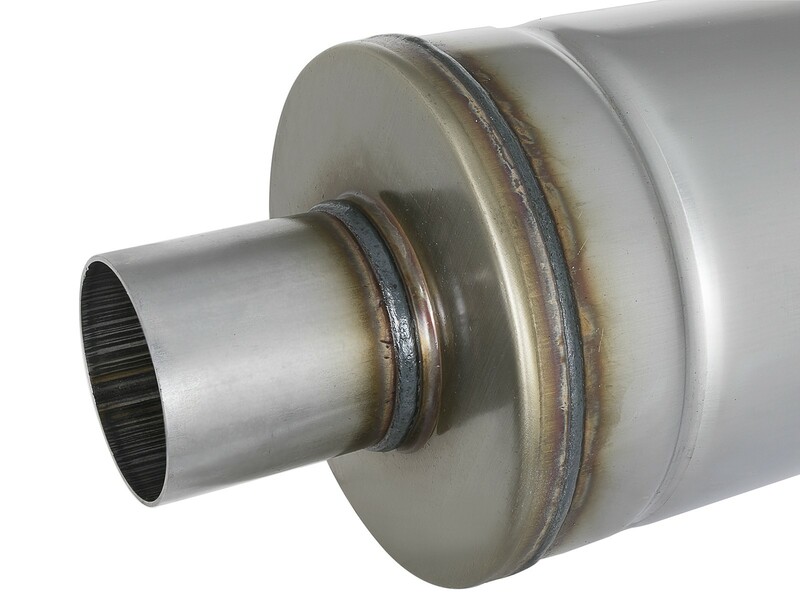 Universal muffler fits 2-1/2" stainless steel tubing. 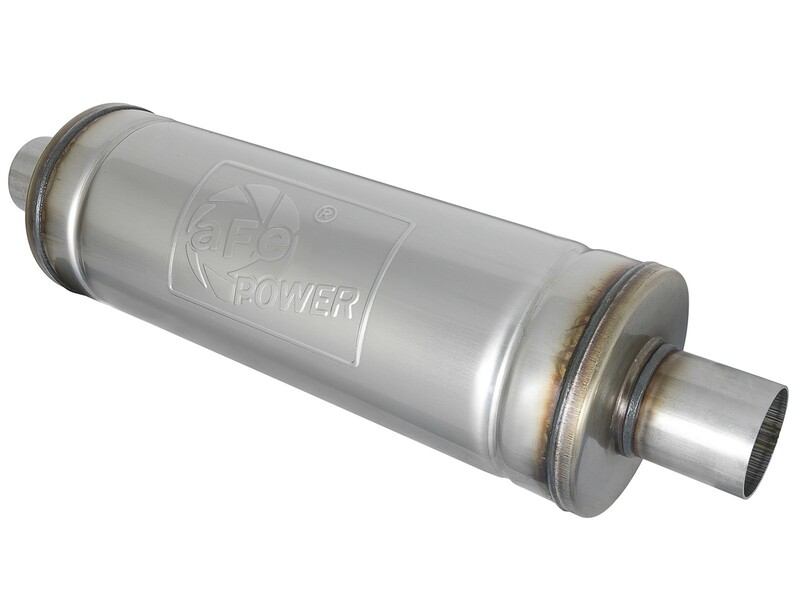 Muffler does not come slotted. See below for specifications. 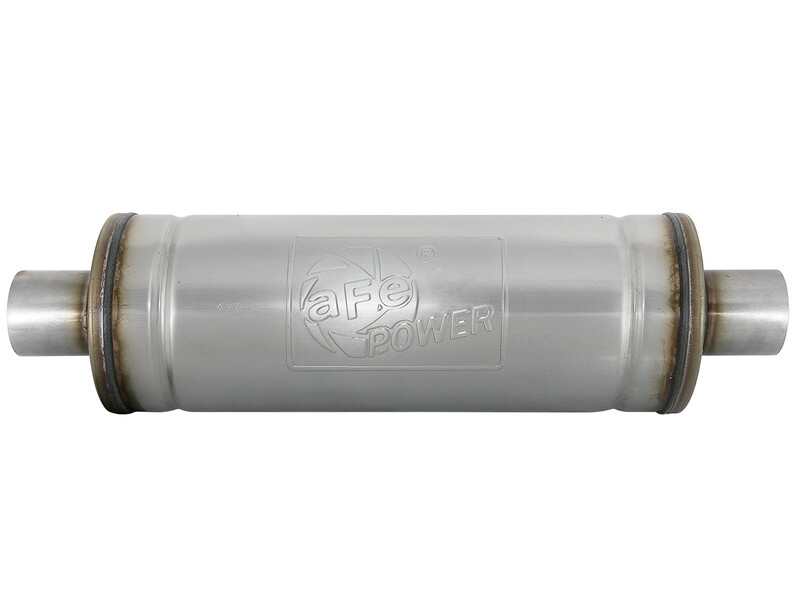 Configuration: 2-1/2" Center Inlet / 2-1/2" Center Outlet. Size: 18" body length, 6â€ round body, unslotted.